This little 16" X 16" quilt is made with leftover fabric from Christmas table runners I made as gifts last year. I found the pattern on Moda Bake Shop. I modified the pattern a bit by adding a 2 inch border and plan to use it as a wall hanging during the holidays. 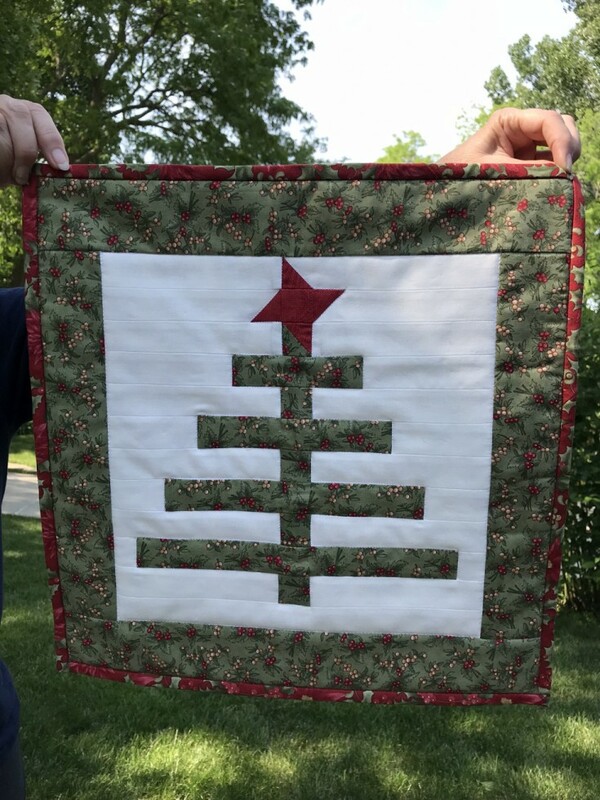 I quilted around the border, the star, and tree using stitch in the ditch. I'm planning to make some as Christmas gifts this year.